Panasonic, a perfect company of good item production, which can compete effectively in the market. MC-CL935 is one of the items that have proven a lot of advantages to the users that can be seen from many experts . Jet Force has shown consumers lots of merits. It is easy to move the item, produces less noise, we generally expect a lot from this equipment. A device of near perfection, any genuine user can agree with that. 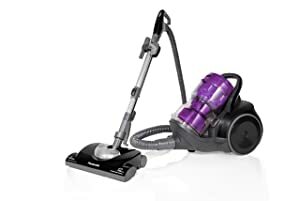 So, let's discover the Panasonic MC CL935 Jet Force Canister Vacuum Cleaner Review to understand why its stand out from the others competitor. The outward appearance is completely attractive. The vacuum itself is small, leave alone its deep purple color that leave many with smiley faces. Designers have realized the beauty of color the way it draws buyers closer and are capitalizing on that advantage. Of late, I saw another combination of black and purple color that was extremely pleasing. You will find black and purple color of this product mostly in stores. This vacuum also assure mobility and can move efficiently. Its movement capabilities are unparalleled, just like the Dyson DC39 having the ball design. MC-CL935 has a complex zero-radius turning design that increases its efficiency while negotiating and maneuvering. An accessory that contributes greatly to uniqueness of this device is the turbine powered pet brush. Cleaning done using this brush is absolutely easy and comfortable. The brash is capable of removing very small pet hairs and fur. If I look at this tiny canister, I feel it is almost similar in performance with the Jet Force upright. The difference between the two could only be pricing, otherwise performance is the same. It has a dust bin with hourglass shape. Very unique but important to its working mechanism. This shape perfectly allows for slow movement of dirt and dust through a filter. This can be termed dust bagel or sometimes dirt bagel. As an uncanny as it may sound, it serves to see to it that the emptying process done on the canister is achieved at an ease. The tight clump of dirt implied here means, very few stray particles will be staying somewhere other than a heap. When the filters are clogged and their performance hindered they can always be removed and washed. It is easy to remove and get them fixed back again. Washing is also important because, it helps in the removal of bad odor brought about by accumulated pet hair. The device also contains a powerful agitator. Serves to help deliver deep powerful cleaning on carpeted floors. Sometimes on bare floor this agitator may not be required because it can end up destroying delicate bare floors. That should not create any tension to the user, bare floor option, steps in to harmonize this and ensure a continuous effective performance. Now, cleaning using this device is turning out to be more enjoyable because of the capabilities it holds. The equipment can clean a large area within a short period of time. Time is precious, anything that saves on time is highly precious and should be welcomed with both hands. How this device saves time is quite simple but very encouraging in this advancing technology. It has a 14” cleaning path. A 14” nozzle is incorporated there to allow you clean larger areas within a short period of time. Other canister vacuum cleaners are disgusting and hectic to use due to the noise they produce. I saw this machine tested and what I saw was really pleasing. I expected noise as usually but eventually this one, it terms of maintaining silence it was extraordinary. It is equipped with a long air path together with air exhaust vent. This two components makes the equipment quite encouraging to use for precisely longer periods of time. 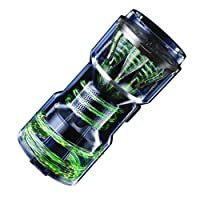 While using this device, any kind of cleaning can always be done. 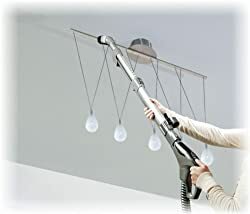 With telescopic wand, cleaning the celling is never a problem. The wand allows for floor cleaning. Maximum work is achieved using telescopic wand and other essential tools on board. The weight of the machine gives it extra bonus. You can lift it easily and make any maneuver you wish to. The design is also compact making it small, light and efficient to carry effortlessly. It is designed to accommodate a High Efficiency Particulate Air media filter. With this, very small microscopic particles are trapped and eliminated completely. HEPA filter also helps to capture irritants and pollutants. To obtain a perfect cleaning, MC-CL935 should be the first choice any user is expected to prefer. The equipment greatly helps to do a wide range of cleaning. If you feel like cleaning the celling, it is a perfect choice. Clean the floor, both bare and carpeted, still it promises to be outstanding. As a matter of fact, this device can be carried easily. It is light and small. Above all the radius design gives a very unique feature. It can make a 3600 turn, enhancing its flexibility as it maneuvers between furniture. Hope this ultimate Panasonic MC CL935 Jet Force Canister Vacuum Cleaner Review useful for you.